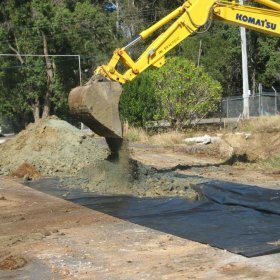 Spotless Services Australia Limited (SSAL) on behalf of the Department of Defence commissioned Lambert & Rehbein to conduct remediation works at the Field Engineers Yard (FE Yard), Kokoda Barracks. The site is listed on the Defence Contaminated Site Register (CSR) for potential contamination associated with underground fuel storage and historical land use including an engineering workshop and vehicle wash station. 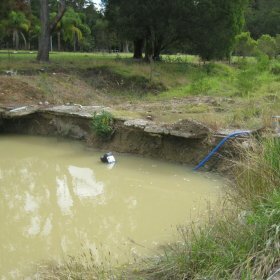 The primary objectives of this project were to remove remaining contaminated material from on-site excavations, complete validation sampling and backfill validated excavation voids with clean stockpiles and imported fill material. 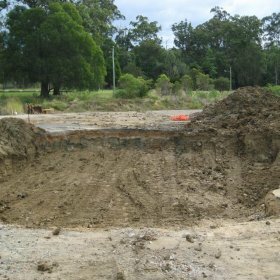 The removal of remaining contaminated soil and backfill of validated excavation voids would allow the site to be removed from the Defence CSR and impacted groundwater to naturally attenuate over time. A secondary objective of this project was to prepare the site for the grading, landscaping and resurfacing works as part of the proposed redevelopment of the site by Defence.